Real Christmas Trees Vs Fake Christmas Trees: Which One Is Better? Real Christmas Trees Vs Fake Christmas Trees: Which Is Better? Getting together as a family and decorating Christmas trees is arguably among the most popular Christmas traditions around the world. Around 85-90 million households purchase real Xmas trees each year in Europe and the United States alone. According to a Nielsen survey for the American Christmas Tree Association, some 75 million households in the U.S. prefer fake Xmas trees. And that’s not even counting the 160+ other countries that celebrate Christmas. Real Xmas Trees Vs. Fake Xmas Trees: Which Is Better? People have been debating the positives and negatives of real vs. fake Xmas trees ever since artificial trees became popular in the early 20th century. 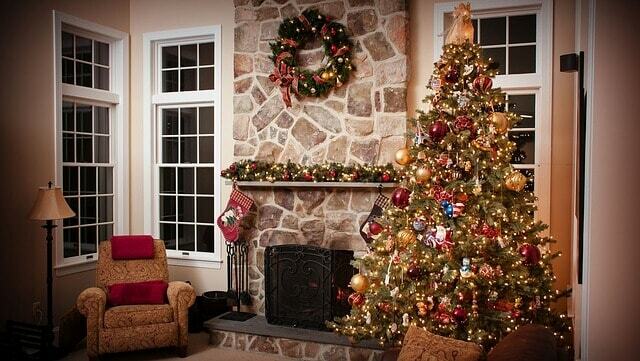 In 1992, only 46% of all homes in the US displayed an artificial tree. But by 2004, lagging sales of natural trees forced the farming industry to hire an agency to create an ad campaign for keeping it real. Regardless of which side of the real Xmas tree vs. fake Xmas tree debate you stand on, this beloved holiday tradition has a fascinating history that predates Christianity. And while the types of trees people prefer may have changed, the seasonal tradition has spanned time and geography, from Egypt and ancient Rome to Scandinavia and Germany. Here’s a look at the meanings and origins of the Christmas tree, as well as why some people prefer real trees to fake trees (and vice versa). Long before Christianity or Christmas existed, people around the world used evergreen plants and trees in seasonal celebrations. Some cultures believed they had the power to ward off illness, evil spirits, and witches. Often these celebrations fell on the year’s shortest day and longest night (usually December 21 or 22), which we know today as the winter solstice. The ancient Egyptians worshipped a god called Ra, who was depicted with a hawk’s head and a blazing sun in his crown. They believed that winter was when their sun god was at his weakest; the solstice signified that he would soon begin to get well. They filled their homes with palms to celebrate the victory of life over death. The early Romans had their own pagan solstice celebration– the feast of Saturnalia– to honor Saturn, the god of agriculture. They decorated their homes and temples with evergreen boughs to symbolize their hopes for fruitful harvests for their farms in the coming year. The ancient Druids (the priests of the Celts) and the Vikings of Scandinavia used evergreen decorations as well. 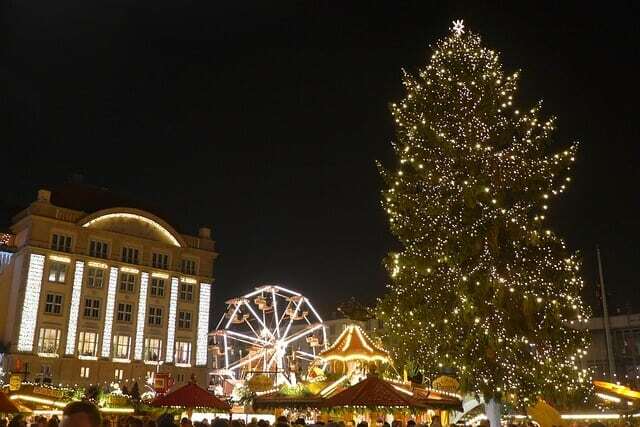 Our modern Christmas tree tradition began in Germany sometime in the 16th century. Christians would bring decorated trees into their homes, or build wooden tree-shaped pyramids and cover them in evergreens. So even in the beginning, some people preferred a real Xmas tree, while others preferred artificial Xmas trees. Eventually lights and ornaments were added. Protestant reformer Martin Luther was reportedly the first person to use lights, adding candles to symbolize stars. Apples were the first ornaments, representing the Garden of Eden. Tinsel, invented in Germany in 1610, was based on folklore about spiders whose webs turned to silver when they were spun in a Christmas tree. Though the original meanings of Christmas trees may have gotten lost over time, most of these ancient traditions continue in some form today. Though German settlements in Pennsylvania had Christmas trees in the mid-1700s, they were seen as pagan symbols by most Americans well into the 19th century. For that, we can largely thank British politician Oliver Cromwell. As a result, the General Court of Massachusetts passed a law in 1659 making any observance of Christmas other than church services a penal offense. You could be fined, or even go to jail, just for hanging holiday decorations! But by the mid-1800s, two things happened to make Christmas trees popular in the US. First there was an influx of German and Irish immigrants, who brought their beloved holiday traditions with them. 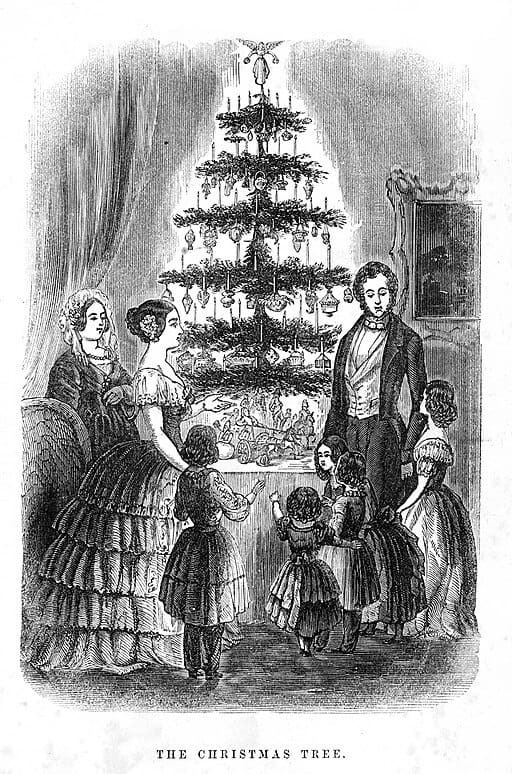 Then in 1846, Queen Victoria and Prince Albert were sketched standing around the tree with their children. Anything the Queen did immediately became fashionable. 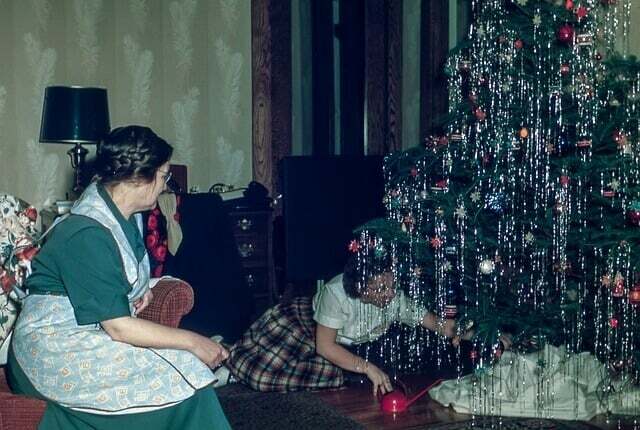 The popularity of Christmas trees in America exploded in the early 20th century. Though real Xmas trees were more common, artificial trees made out of feathers, brush bristles, and aluminum were all in fashion at one time. Once electricity allowed the fire hazardous candles to be replaced with Christmas lights, having a Christmas tree in the home became a beloved American holiday tradition. Although the earliest artificial trees were wooden or made out of feathers, most modern fake Xmas trees are made from polyvinyl chloride, or PVC. They save money, especially over time. A real Xmas tree might cost $50-$100, depending on size, and can only be used once. Artificial Xmas trees are more expensive (around $100-$300), but they can be reused for many years to come. They’re safe. Unlike live trees, which dry out over the holiday season, fake Xmas trees don’t pose a fire hazard. Most manufacturers create them using fire-retardant materials. They’re convenient. A fake tree doesn’t shed needles, which means less cleaning up after the holidays. There’s no watering necessary, and no allergens to worry about. At the end of the season, you simply pack it away in storage in the box it came in. They’re attractive. 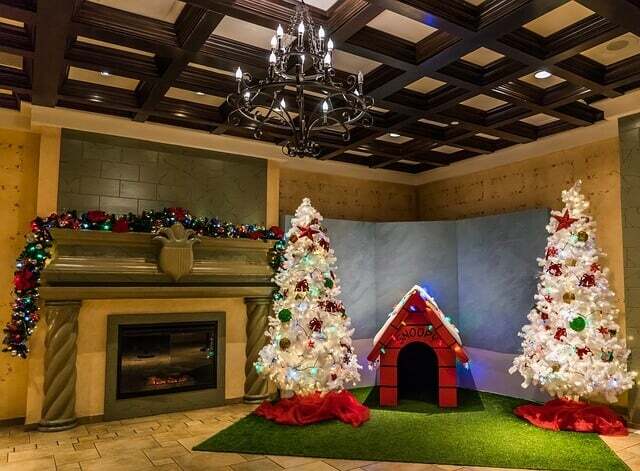 Most artificial trees are made to look real, but without many of the problems associated with real Xmas trees. There are no patchy spots, no branch drooping, no browning of fir or pine needles. And there is a vast array of styles to choose from, including pre-lit and fiber optic trees. 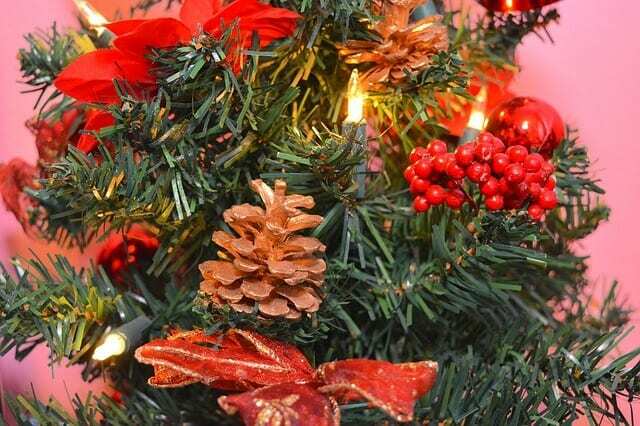 The popularity of real Christmas trees has been steadily on the decline in recent years due to the fact that artificial ones are so cheap and convenient. They’re good for the environment. 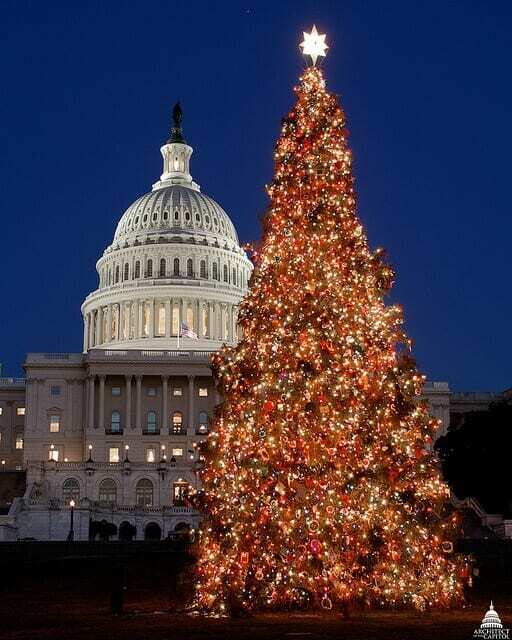 Each of the 350 million real Christmas trees growing in the US emits fresh oxygen and absorbs carbon dioxide and other gases that contribute to global warming. Some experts say Christmas tree farms help stabilize the soil, protect water supplies, and provide refuge for wildlife. As evergreens, they also improve the scenery! They’re renewable resources. 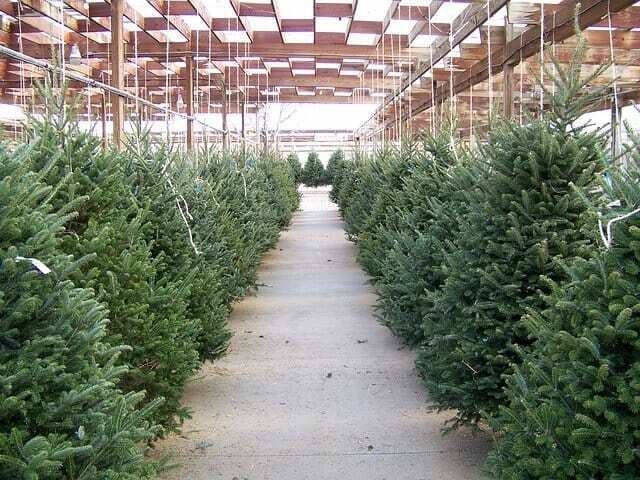 Live Christmas trees are grown on farms, of which there are around 15,000 in the US alone. In order to ensure a constant supply, tree farmers usually plant 1-3 new seedlings for every tree they harvest. Fake Xmas tree, on the other hand, are made from petroleum-based plastics, and are most often shipped over from China. They’re recyclable. Every real Xmas tree is 100% biodegradable. There are many places that will recycle Christmas trees for you, making them into mulch you can use in your garden or landscaping projects. We often chop ours up to use as firewood. Most fake Xmas trees (which are typically used for around seven to eight years) wind up in a landfill, where they never decompose. They help preserve green spaces. 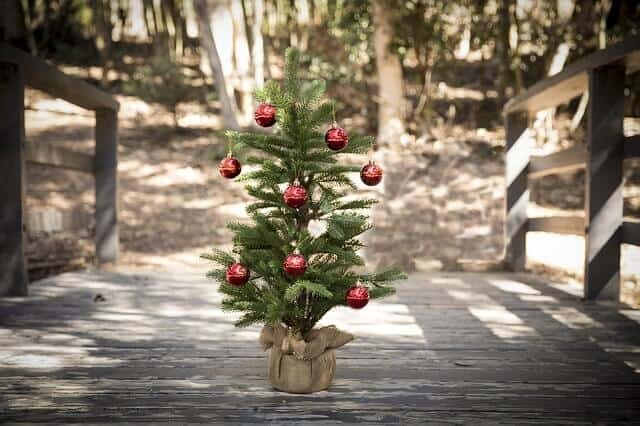 Real Christmas trees are often grown in soil too poor to support other agricultural crops. They’re real. There’s a reason “keeping it real” is considered a good thing. For me personally, a live tree just smells like Christmas! You see the branches gradually settle into their natural shape over the course of the season. And unlike fake Xmas trees, there’s no assembly required. Everyone has their preferences when it comes to the real vs. fake Christmas tree debate. But if you’re considering sustainability when deciding which is better (and you definitely should), it’s important to understand the differences between these two holiday options. 1) How long will you use your fake Xmas tree? Studies have shown that artificial trees have 3 times more impact on climate change than natural trees. But experts have different opinions on how long you’d need to reuse a fake tree to make it more eco-friendly than cutting a fresh one annually. One forester suggested you’d need to use it more than 8-9 years, but a 2009 Montreal study concluded it would take more than 20 years! 2) What is your fake tree made of? Most modern artificial Christmas trees are made out of PVC. This non-recyclable plastic has been linked to adverse health and environmental impacts. Some fake Xmas trees have even been found to contain lead and other toxic additives. Polyethylene plastic (or PE) trees are believed to be a less toxic option, but they’re still made from petroleum. Real trees aren’t toxic at all. 3) Where was your fake tree manufactured? A survey found that around 75 million households in the United States prefer artificial Christmas trees. But more than 85% of those are imported from China, and the shipping process significantly increases their carbon footprint. Fake Xmas trees made in the USA are more eco-friendly, but in the end they’re much more harmful to the environment than real trees. 4) Where do you go to buy your real Christmas tree? Depending on distance, the act of driving to purchase your tree could actually have more of a negative environmental impact than the tree itself. Buying local minimizes that impact, and also helps support community businesses and preserve local farmland. 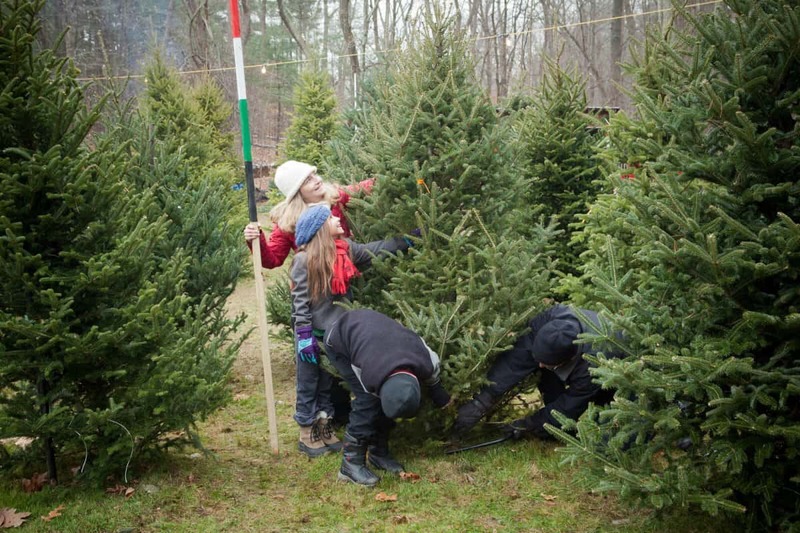 For a comprehensive list of farms near you, check out the Christmas Tree Farm Network website. 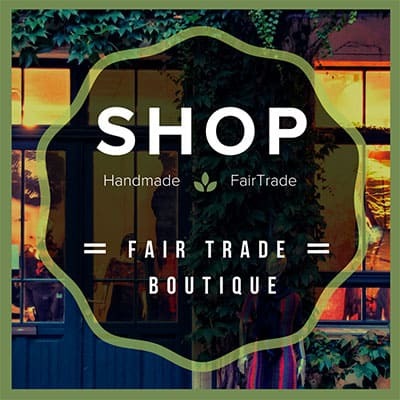 In short, if you want to have an eco-friendly Christmas, it’s best to keep it real and buy local. 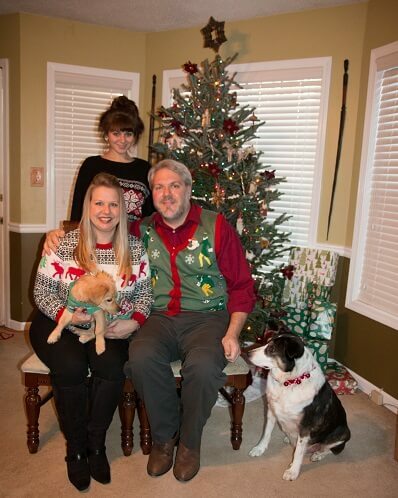 Real Xmas trees are a renewable resource with a 93% recycling rate. Each tree absorbs approximately a ton of CO2 over the course of its lifetime, producing enough oxygen per acre for 18 people a day. Not to mention the fact that the Xmas tree-farming industry employs over 100,000 people in the US. The first Christmas Tree was a Silver Fir. 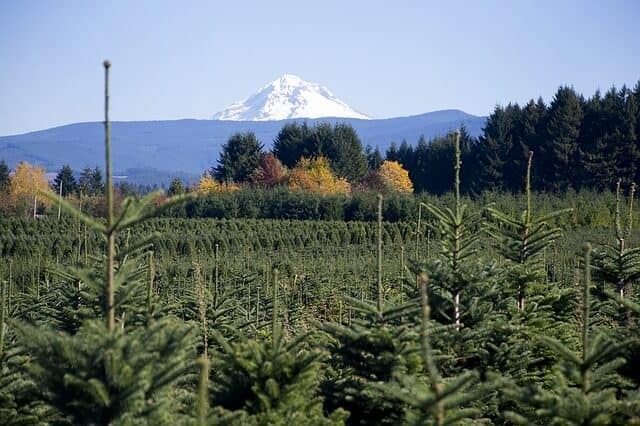 There are close to 350 million real Christmas trees currently growing on Christmas tree farms in the U.S.
Christmas trees are grown in all 50 states and Canada. Michigan ranks third among all states in the production of real Christmas trees, but grows a larger variety of Christmas trees than any other state. The word Tannenbaum, is a German word for “fir tree”. The Douglas fir, one of the most popular Christmas Trees, is the second-tallest conifer in the world (Redwood is the tallest). 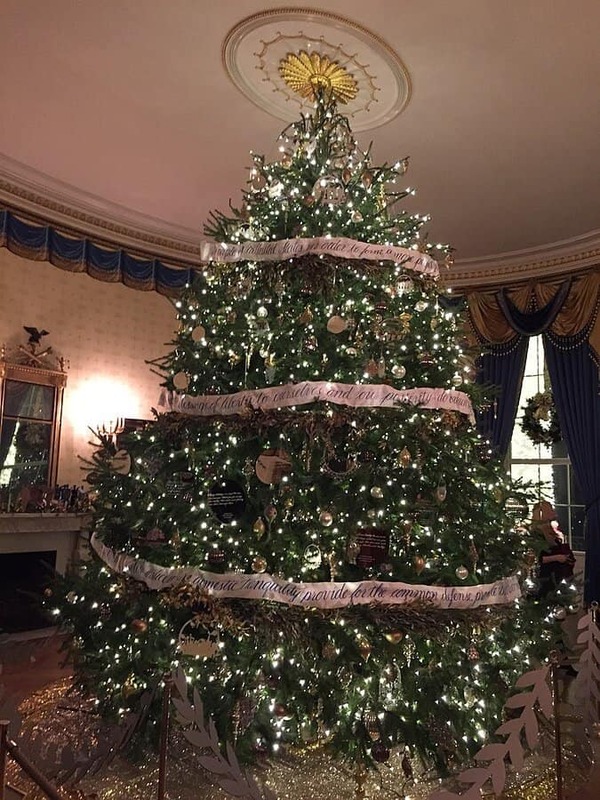 The White House is most likely to use a Fraser fir as the Blue Room Christmas tree. Mark Carr setup the first Christmas tree retail lot in the United States in New York in 1851. There are more than 4,000 local Christmas tree recycling programs throughout the U.S.
For every Christmas tree harvested, one to three seedlings are planted the following spring. There are about 350,000 acres of Christmas trees growing in the U.S. There are close to 15,000 farms growing Christmas trees in the U.S., and over 100,000 people are employed full- or part-time in the Christmas tree industry. It can take as many as 15 years to grow a tree of typical height, which is 6-7 feet, or as little as four years. The average growing time is seven years. The most common Christmas tree species are balsam fir, Douglas fir, Fraser fir, noble fir, Scots pine, Virginia pine and white pine. The Grand Fir and White Fir have a a citrus like smell.